On the RFC Mini-cast this week, John and Rob Clay discuss the Hasbro reveals from Botcon 2015. The RFC Mini-cast – 017: What’s so great about Masterpiece? On the RFC Mini-cast this week, help Diecast and Don explain to John why Masterpiece Transformers are the best. 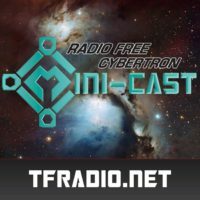 The RFC Mini-cast – 016: What are your Transformers worth anyway? On the RFC Mini-cast this week John and Brian discuss…what are your Transformers worth anyway?